For an Architectural Plan Reading course at the undergraduate level. Informative, yet concise, this reputable text helps students become adept at reading both residential and commercial construction architectural plans. It offers thorough coverage on everything from projections to modular coordination, light framing to window details, and timber construction to trusses. It also provides actual photographs of the buildings under construction. Perforated exercises provide a neat and readily accessible means of applying material in the text. 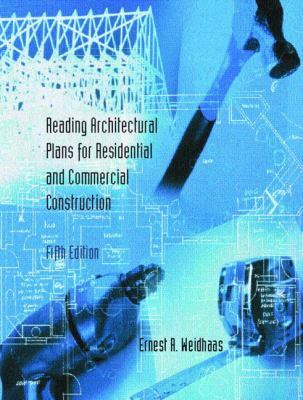 Can supplement any architectural drawing or design text.Weidhaas, Ernest R. is the author of 'Reading Architectural Plans For Residential and Commercial Construction' with ISBN 9780130406385 and ISBN 0130406384. Loading marketplace prices 20 copies from $40.80 How does the rental process work?